I've been thinking about this lesson for a while now and I can't get this idea out of my mind so this is what we're going with. I've been typing this up and it's now just flowing, I feel like this will be a spiritual and amazing lesson. If you use it or modify it, would you come back and share how it went? I'd love to know! *PLEASE NOTE: I'm running more with Senior Primary for this part of the lesson, please see below for Junior Primary. GET EARLY EARLY (AND A 3RD EARLY JUST IN CASE YOU MISSED THE 2ND ONE) TO CHURCH TO GET THIS ONE SET UP! Put picture up on the board at the beginning. Put all the materials on each of the chairs beforehand (petpeeve of mine to waste time passing stuff out in the middle of Sharing Time) or give them to the teacher. As they finish, reward the ones who've followed each instruction step by step (each one including the "silly" ones) with a sticker. What do we promise at baptism? What gift are we given afterwards? Why is having the gift of the Holy Ghost so important? Read this quote by Elder Hales or summarize it how you wish. "Each week in sacrament meeting we promise to remember the atoning sacrifice of our Savior as we renew our baptismal covenant. We promise to do as the Savior did—to be obedient to the Father and always keep His commandments. The blessing we receive in return is to always have His Spirit to be with us. 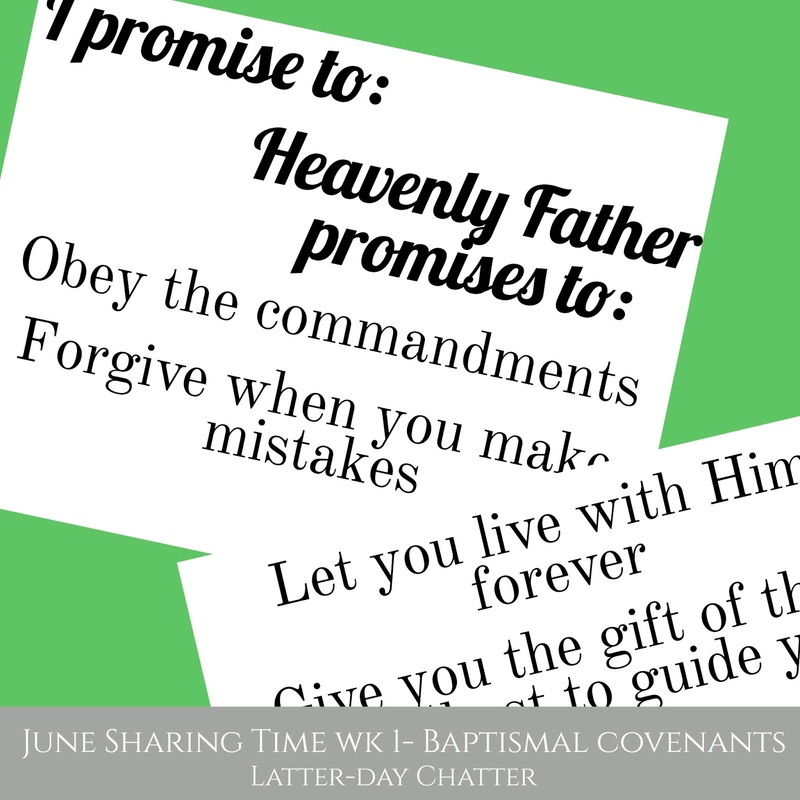 How are we rewarded for obeying Heavenly Father's commandments? 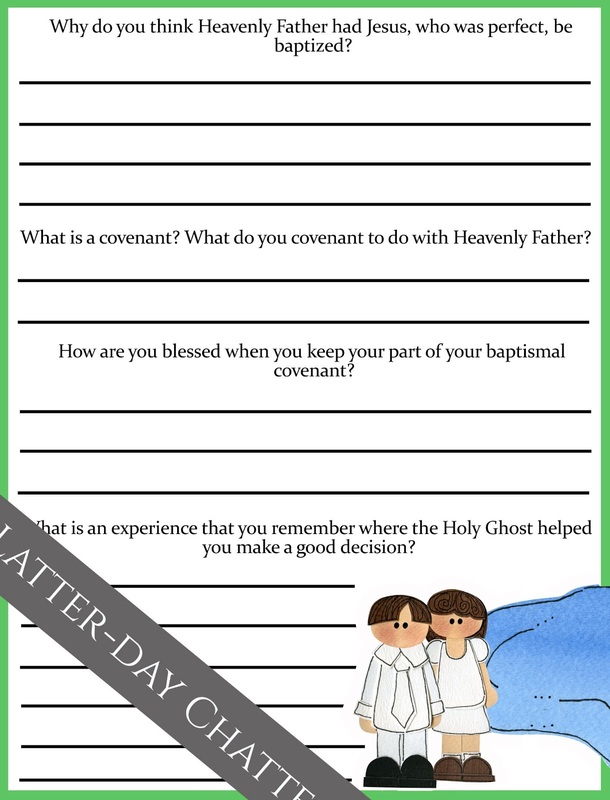 What is a covenant? (A promise we make with Heavenly Father), What do we covenant with our Heavenly Father to do at baptism? Put up the printouts one at a time discussing each. 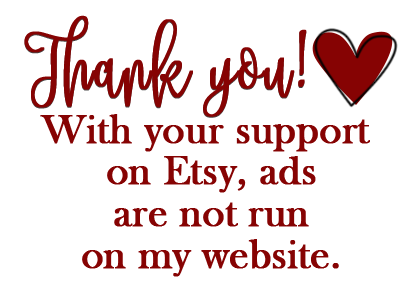 PDF and Word coming soon! 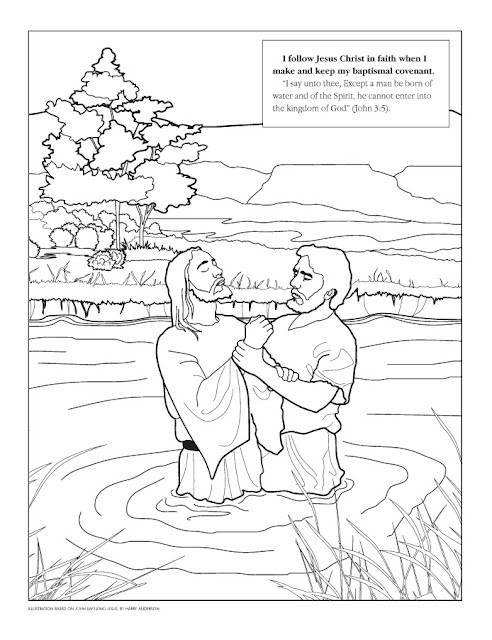 Show the picture of Jesus being baptized. What's happening in the picture? 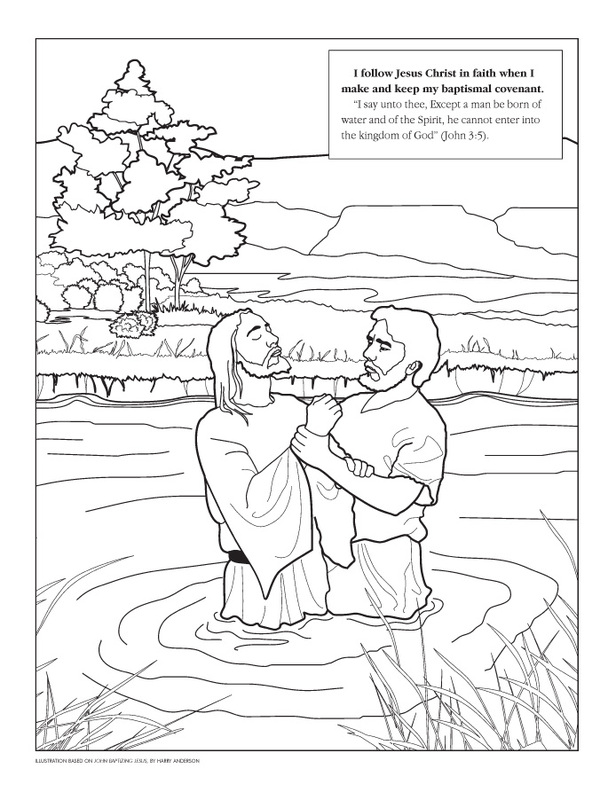 Jesus was baptized by a member holding the Priesthood, named John the Baptist. 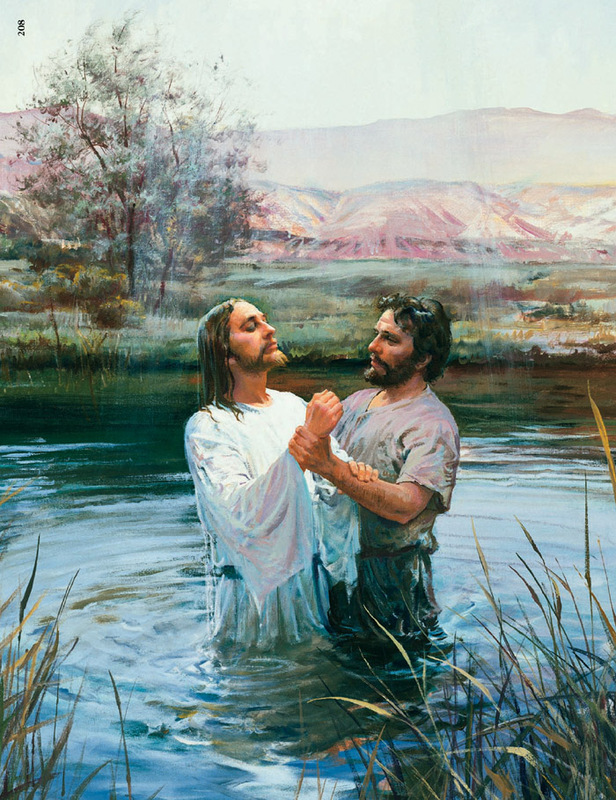 He was baptized in the River Jordan. We are baptized the same way Jesus was. We plug our nose up with our hand and a member of the Priesthood dips us in the water, our whole bodies. We then receive a very special gift from our Heavenly Father. What gift are we given? The Holy Ghost. We make a promise with our Heavenly Father that we will obey his commandments. What are some of the commandments? If we obey the commandments, we will be blessed and Heavenly Father promises to forgive us when we make a mistake, He also promises that we can live with Him forever if we obey the commandments, another promise is that we can always have the Holy Ghost with us to make good decisions. Amazing talk by Elder Robert D. Hales - Recommend to read before this lesson! !